A representative of the Russian Mission Control Center said that the Russian Progress-M28M cargo spacecraft that has delivered supplies to ISS will be undocked and sent to the so-called spacecraft cemetery in the Pacific Ocean. 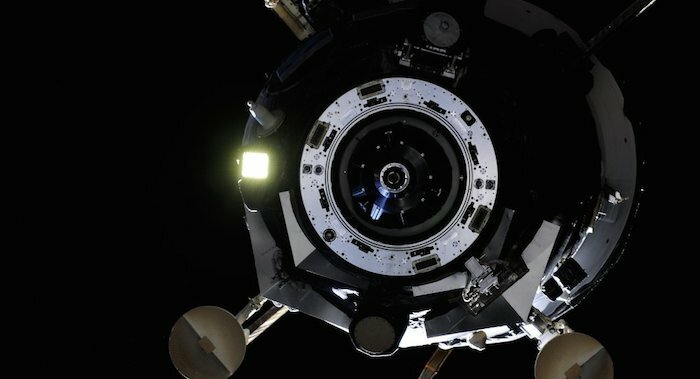 The Russian Progress-M28M cargo spacecraft that has delivered supplies to the International Space Station (ISS) will be undocked and sent to the so-called spacecraft cemetery in the Pacific Ocean, a representative of the Russian Mission Control Center told RIA Novosti. "The spaceship loaded with used-up equipment and waste from the crew will be undocked from the ISS at 10:35 Moscow time [07:35 GMT]. At 13:42 [10:42 GMT] its engines will be brought to a halt after which Progress will enter the dense layers of the Earth’s atmosphere. The splashdown of the cargo ship’s unburnt fragments is expected to occur in the non-navigational part of the Pacific Ocean at 14:28 Moscow time [11:28 GMT]," the representative said. A Soyuz-U carrier rocket with the Russian Progress-M28M cargo spacecraft was launched from the Baikonur Space Center in Kazakhstan in July. The Progress spacecraft brought some 2,400 kilograms (5,300 pounds) of cargo, including fuel, air, food and scientific equipment for the ISS crew.